A team of five Fairfax County nurses is working 12-hour shifts and living in shelters alongside the victims they're helping. "These are people who have no idea, many of them, of what their future is going to hold," said one nurse. WASHINGTON — Local caregivers who’ve traveled south to the Hurricane Florence disaster zone are working 12-hour shifts and living in shelters alongside the victims they’re helping. “Every person has a story, and each one is unique. 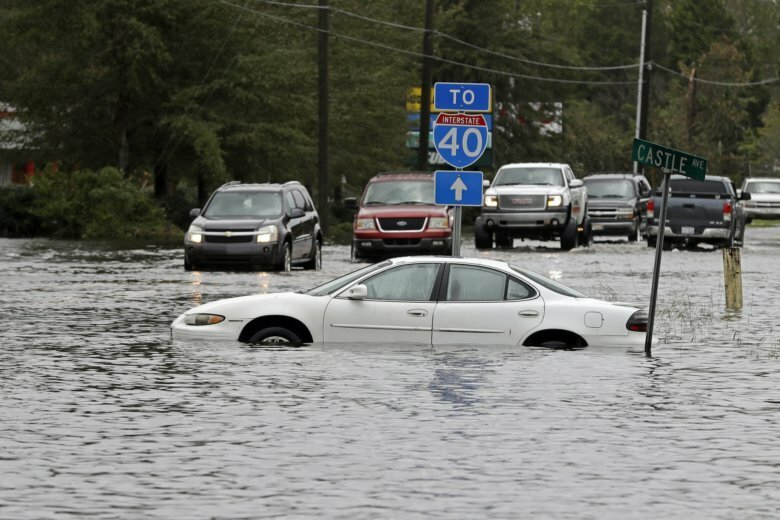 Most people have lost considerable, if not everything,” said Beth Miller-Zuber, Fairfax County Health Department nurse manager. One family in the shelter had their house catch on fire even before devastating floods developed. “They were out in their yard in the middle of the storm, watching their house burn,” Miller-Zuber said. A bittersweet moment for Miller-Zuber was reuniting two friends who had a history of looking out for each other in their neighborhood. They became separated before arriving at the shelter. She was asked to help, and she found the “lost” friend, but had to ask permission to say so because of privacy rules. More than 400 people are being housed in the shelter where the Fairfax County team is working. 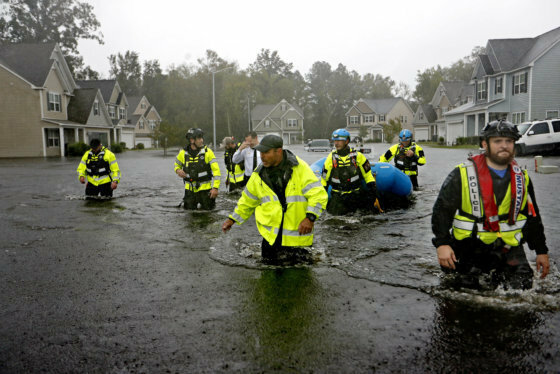 By the time the team arrived in Wilmington, its destination had been changed three times en route as needs on the ground changed. “It’s a lot of logistics,” Miller-Zuber said about everything from resource deployment to functions within aid stations where they’re working. Nurses receive a new assignment each day to staff different areas. At the registration desk, new guests are asked what medicines they’re taking and whether they have a chronic condition or special needs. People who need medicines go see a “pharmacy facilitator” who will contact doctors and pharmacies as needed. People with minor injuries or ailments go to a triage area, where they might receive anything from aspirin to antacids, or have minor wounds cleaned and patched up, or have their blood pressure checked. The most commonly treated ailments are cuts, abrasions, injuries from flying debris, cough and cold symptoms and infections from cuts and fire ant bites. When someone shows up with more serious issues, the nurse facilitates calling for emergency medical services for additional evaluation and potential transport to a hospital for care. When Miller-Zuber and her team headed south on Sunday, the trip was interrupted briefly by tornadoes near Richmond. They sheltered in place at a local store. They’ll be returning home Sept. 30, but Miller-Zuber said she won’t forget the devastation that’s hit North Carolina and hopes you’ll remember, too. “These are people who have no idea, many of them, of what their future is going to hold,” said Miller-Zuber, who asked that you keep them in your thoughts and prayers. She also encourages you to donate to the American Red Cross, which supports people in disaster situations. “That all helps. It all contributes to the greater good,” Miller-Zuber said.